As the social justice and equity landscape shifts to adapt the tenets of branding, effective strategy will ensure that messaging and activations draw Millennial and Gen Z audiences toward meaningful causes. Influencers and brands will have to work harder to convert an online presence to real life experiences, and vice versa. Through my work at Teach For America and as Managing Partner & Strategist of Seventh Suite, I've worked alongside brands to build brand equity and harmonization. Together we take a grassroots organizing approach to building strategies that make movements, move. As creative strategist to activist, writer and educator Brittany Packnett, we began with a Personal Development Plan and SWOT Analysis that took into account the work that she was currently doing and where she wanted to grow. Brittany's brand is seeped in diversity, equity and inclusion. At the start of our work together she had a large Twitter following but would need to transition to platforms like Facebook and Instagram in order to crossover to video content. Within 60 days we grew her Instagram following from 4K to a little over 35K. Additionally, I supported all aspects of her public relations, media partnerships and activations with Mic, Pod Save The People, The Cut and the United State of Women. 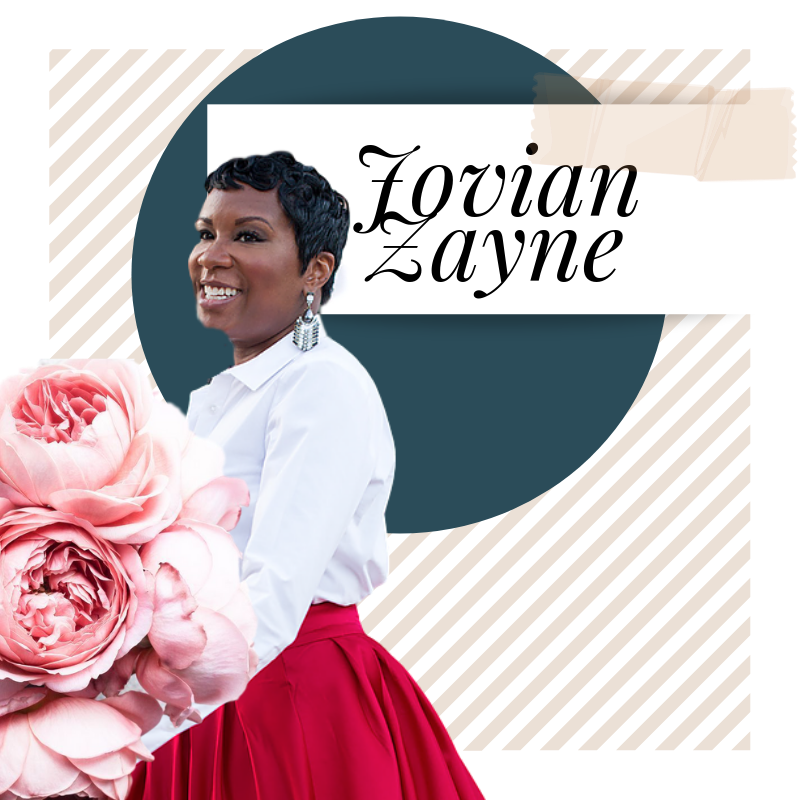 Jovian Zayne’s International Day of Purpose calls on individuals and organizations to lead in their truth and inspire through action for one full day. No small feat for an International celebration largely fueled by social activation including: Twitter, Facebook, Thunderclap and Instagram. For this project I strategically supported in the development of customizable memes to personalize the digital participant experience and developed pitch decks for coaches and sponsors. 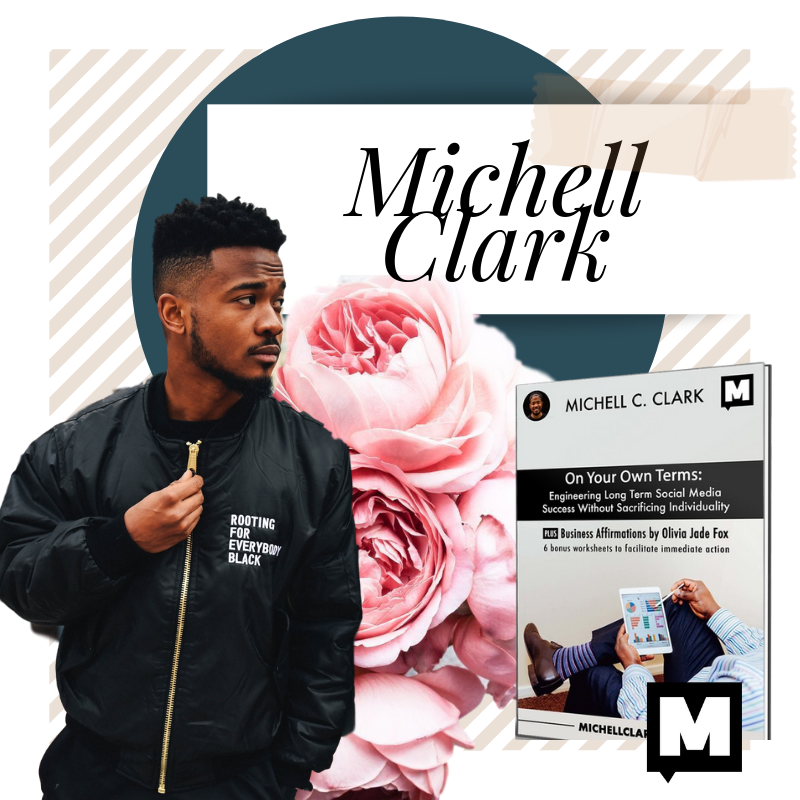 In December 2017, Michell Clark’s “On Your Own Terms” provided an opportunity for the blossoming brand influencer to make sense of their social impact, strategically. A combination of Michell’s digital branding expertise, Olivia Jade’s affirmations and my brand strategy worksheets created an evergreen body of work. Almost a year and over a thousand downloads later, the e-book lays the groundwork for social influence with intention. My work as Senior Managing Director of Black Community Alliances at Teach For America allows me to double down on our belief that movements are about people and relationships. The intrapreneurial nature of this work often means that I serve as my team’s in-house brand expert, specific to our Black audience of corps members, alumni, staff, prospects and donors. For this series I designed collateral for social that made sharing the webinar invitation and panelist information accessible to our national network of recruiters and prospects. As part of our activation at the Congressional Black Caucus Annual Legislative Conference, I designed t-shirts for staff members to wear as we engaged with our theme for the week "We Are The Ones We've Been Waiting For". I designed buttons for staff members to wear at the convention center to pair with business attire and also to unify staff members as they navigated a crowded conference environment. As a way to walk each of our functional teams through my work, I designed and facilitated a TEDTalk style strategic planning session. Each year, Teach For America’s staff community come together to honor the historical and present-day contributions of the Black community, and the impact that it has on our work and the communities we serve. We know that for Black people, education is ancestral. In 2018 the strategy I designed sought to display the impact that our network leaders were having beyond the lens of Teach For America and in their communities. Weekly we highlighted (5) Black staff members from one of our 43 regions to celebrate. The work of 13 of our staff members was highlighted through a piece that I co-developed with our national editorial team. The digital assets I designed for this project were distributed nationally in our weekly staff facing newsletter, “The Monday Minute”. In many ways, it is my responsibility to ensure that Teach For America is developing and sustaining partnerships that can grow our community of Black staff, alumni and corps members to their greatest leadership potential. Our partners also teach us a ton about how to work collectively in pursuit toward education equity. In June of 2018, I presented on our community activations and the impact they made on our work.